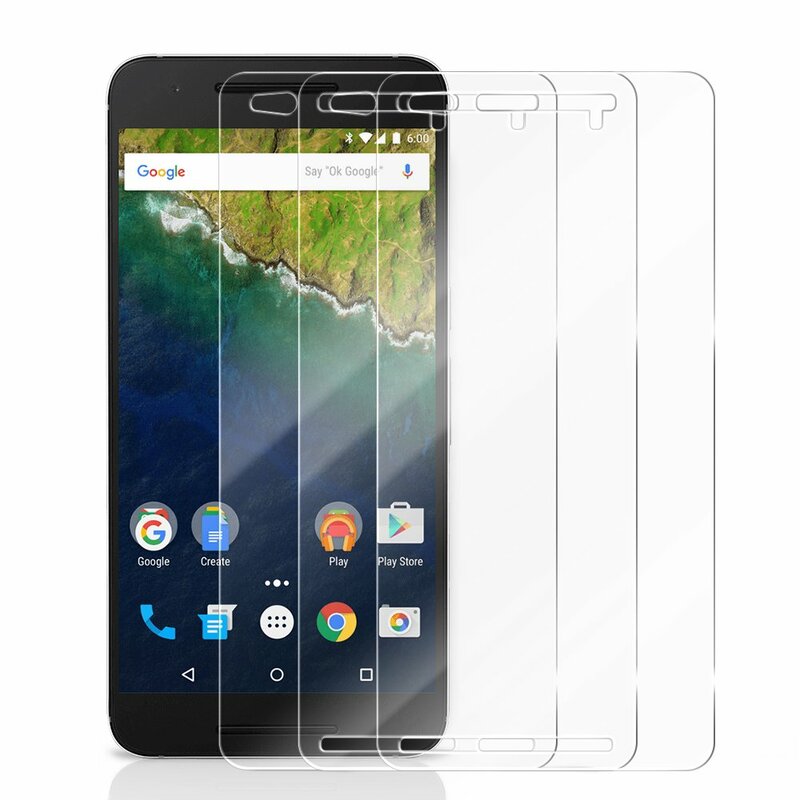 Home › Electronics › Nexus 6P Screen Protector 3 Pack Cambond Cutout For Proximity Sensor Ballisti..
Nexus 6P Screen Protector 3 Pack Cambond Cutout For Proximity Sensor Ballisti..
Natural Screen Experience: Tempered glass screen protector makes this screen protector much smoother than plastic alternatives. 99.9% touchscreen sensitivity. Extreme Clarity & Oleophobic Coating: Ultra 99% Transparent and 99.9% High-definition clear preserves the original screen brightness with no loss of HD resolution; Special anti-oil processing makes fingerprints and oil not easy to stay on the surface and easy to clean. 9H Hardness Surface: 9H tempered glass screen guard to offer best screen protection, harder than knife, shatterproof, pressure-resistant and anti-scratch function. Easy & Repeatable Installation: Precise cut and design, automatically attach to the screen smoothly, hassle-free and bubble-free; If there is spot, bubble, or section that doesn't adhere, peel it off and install again.